Skrip's Auto Body has been an advocate for the consumer since our doors opened in 1978. 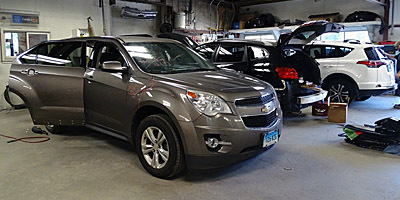 Skrip's Auto Body has been an advocate for the consumer since their doors opened in 1978. Owner Bob Skrip is what the industry calls an independent auto body repairer – meaning he isn't on any insurance company referral list, you see - Bob Skrip only wants to be on ONE list…YOURS! Bob took on the concept long ago that by providing the highest quality repairs, using only original parts and exceptional customer service. Acting as an advocate for his customer's insurance-policy-provided-rights was how he wanted to grow his business. Bob thinks any auto body shop being supplied work from an auto insurer is a conflict of interest.